Fire resistant, ideal for high fire risk areas. Ensure strain is from centre of insulator when tying. Suitable for long strains of permanent fence. 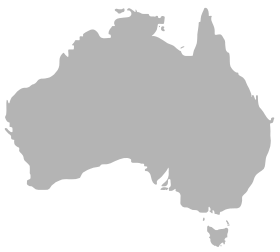 Long tracking distance minimises power leakage. High quality white glaze finish. 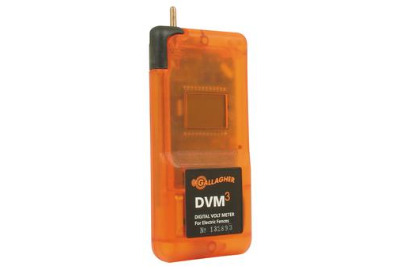 The DVM3 reads the voltage for battery energizers even when the energizers are in Battery Save Mode. Earth stake for ease of ground connection. 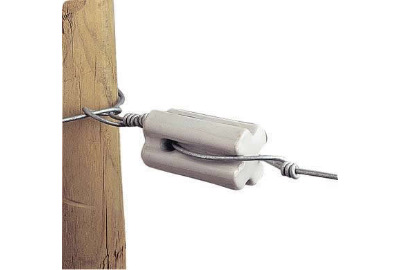 Fence stud - for quick, no fuss contact with fence. Displays fence voltage from 100V to 10kV in 100 volt increments. Displays fence voltage from 10kV to 12kV in 1,000 volt increments. Activated when fence pulse is detected. Display to show low battery condition. 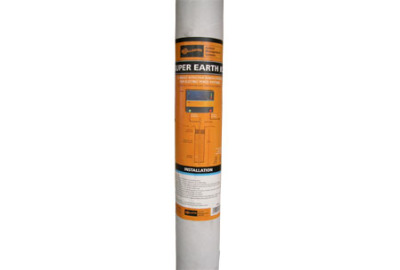 Useful to check earth performance/voltage. Frame designed to maximise spark distance. Powers portable fencing up to 1 km. Ideal for strip grazing and protecting gardens from small animals. Designed for simple installation and use. 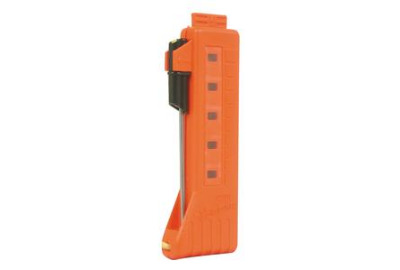 Compact and portable case designed to enclose batteries. Battery options: 6 Super Heavy Duty Long Life ?D? cell batteries or can be used with external 12 volt battery (not included). Battery life: up to 3 months with the latest generation alkaline batteries. Built-in indicator light flashes with each pulse. 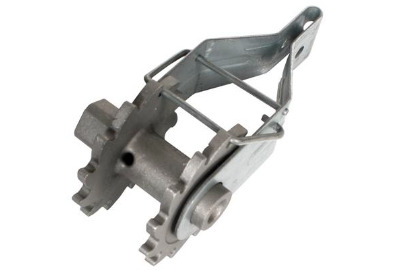 Clips on to Gallagher Turbo Wire, Turbo Tape, Polywire, Polytape, galvanized wire or Treadin post. 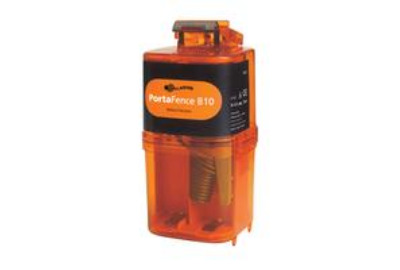 For portable fencing up to 1km (3/5 mile). Robust, durable design for long life. Battery options: 6 Super Heavy Duty Long Life ?D? cell batteries or 12 Volt deep cycle rechargeable battery (leisure, marine type) - not included. 12 Volt battery leads included. Battery life: up to 3 months with the latest generation alkaline ?D? cell batteries; up to 6 months with one fully charged 12 volt 60 amp hour battery. B11 with stand: self supporting with carry handle makes installation simple and convenient: the stand simply pushes into the ground G35311. 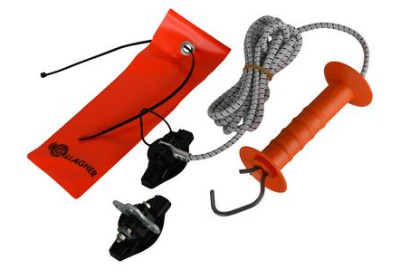 Attaches to Gallagher Polywire, Polytape, galvanised wire or Treadin post. Attaches to Polywire, Polytape, galvanised wire or Treadin post. 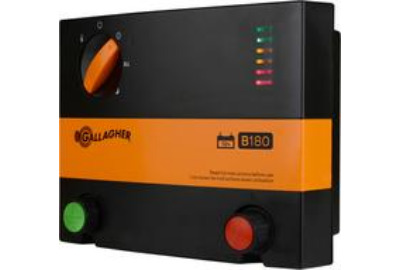 The B180 with 1.8 Joules of stored energy provides versatile animal control. 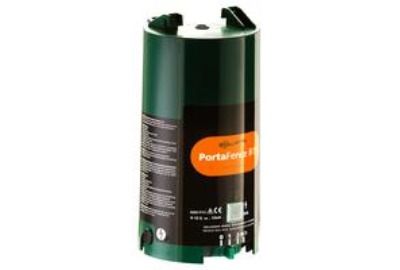 This Energizer can be used in mains powered permanent electric fencing or for fencing in remote areas that have unreliable or no access to mains power. Suitable for fencing all types of animal on small sized farms up to 25 acres. 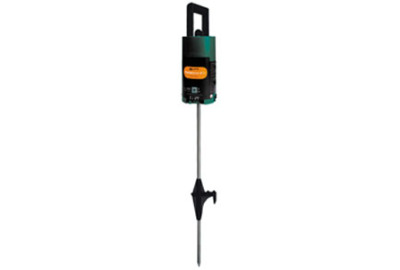 Powers up to 25km of multi-wire fencing. Built-in battery save features to extend the life of your battery. Uses 12V deep cycle rechargeable battery eg. Marine type (battery not included). Ready to use Gallagher solar panels to conveniently charge the battery (not included). Bar graph can be used to indicate battery capacity and output voltage. Solar Panel - 10 watt. High transparent low iron, tempered glass.